Omsunz Financials Inc., California, U.S.A.
As millions of readers around the world, yes I say millions because there are millions of this great KGF community scattered through out the globe, are assured to proclaim the ingenuity and the dedication with which Bridget White reminisces her childhood and deplores the loss of the inestimable glitter that Kolar Gold Fields ( Little England) once possessed. The memoirs give vivid descriptions and at the same time adding a proficient touch to this interesting book 'Kolar Gold Fields – Down memory Lane’. This book is a sure Collectors Item for all KGFites and to all others directly or even remotely connected to India not forgetting the connoisseurs, be it any Nationality, who love literary works. 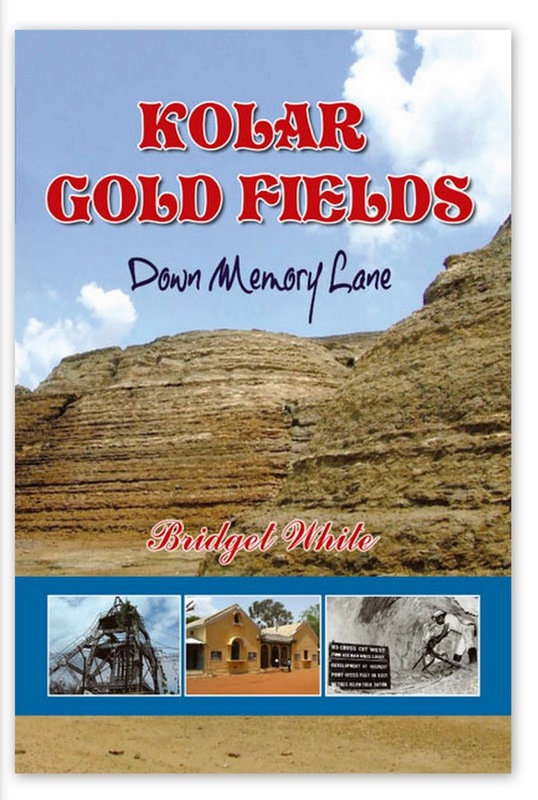 'KOLAR GOLD FIELDS Down Memory Lane’ is based on the actual facts and personal experiences of Bridget White as a child growing up in KGF, covering the period from her forefathers to the present generation by which a rough estimate of time can be drawn and this will surprise the readers wondering what happened to the Gold. The once city of abundant gold proudly named as Kolar Gold Fields by the British is unfortunately biting thick dust and is no longer able to take this weight of the unfathomable injustice done to this pristine town and its unfortunate subjects. The KGF of today will make you feel very poor, almost to the point of destitute nature. But is there a silver lining to this dark cloud? I think there is, I am told that my very old friend Philip Dingle is actively involved in convincing a Australian mining company to establish their franchise in KGF and that will be a step in the right direction and it may bring back some glory to the town and to the languishing jobless employees and show KGF in a better light. Ms. Bridget White who comes from a very influential family has already authored six hot selling Recipe books on Anglo Indian Cuisine and with this book she will drive you through memory lanes of 'Nostalgia'. The ride will be through KGF School, St Josephs Convent, First Grade College and the great Clubs of international standards, not to forget the social life and the frolicking fun-fest one enjoyed during Christmas and New Year dances and parties. The book gives an excellent insight in to the events and will make you feel proud of having been born, slept, ate, bathed and what more we even had our toilets built on the so called layers of gold below!! Even King Alexander would not have had the luxury as we or our parents had at one point of the time and folks behold -That was Kolar Gold Fields for you. Asad Khan Omran(President) Omsunz Financials Inc., California, U.S.A.